The Himalayan Institute is a leader in the field of yoga, meditation, spirituality, and holistic health. 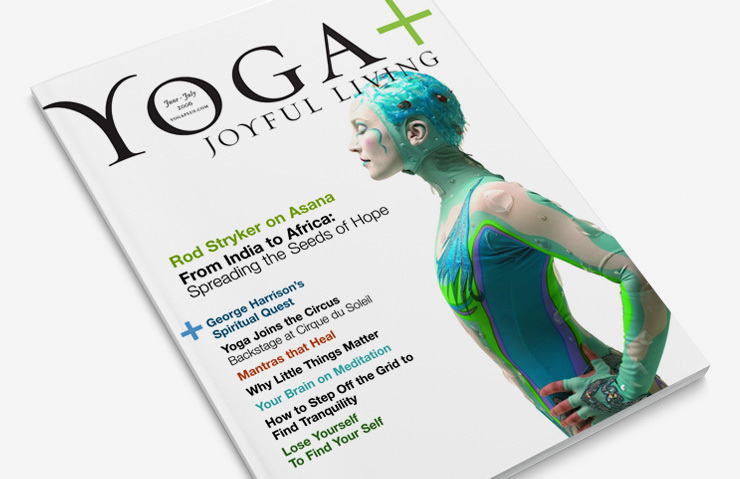 The organization engaged IridiumGroup to update the brand image of the organization and redesign its flagship member magazine, Yoga + Joyful Living. 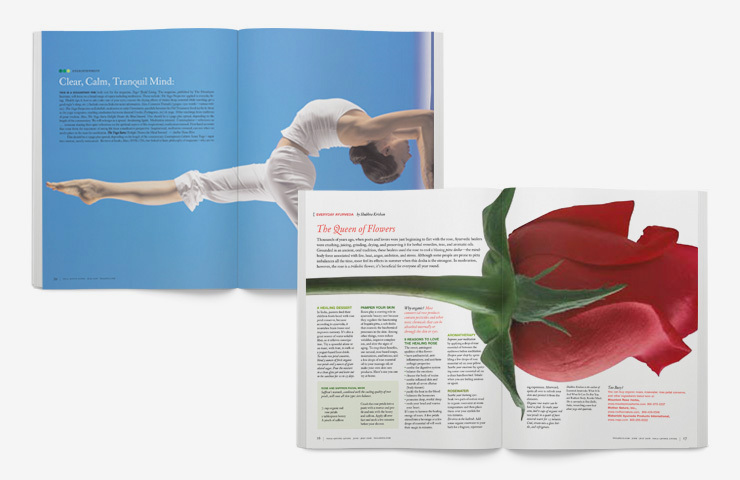 Our creative team presented options for a new design that was contemporary and also appropriate to the spirit of the mission and brand, including ideas for new sections and a fresh editorial structure. A primary focus was reimagining the publication for readers in an unexpected, contemporary presentation that would engage, inform and inspire. Our goal was to breathe new life into traditional editorial techniques such as service journalism and to discover unpredictable ways to reach the reader on a spiritual level. We developed templates that reflected an inspiring new vision for Yoga +. 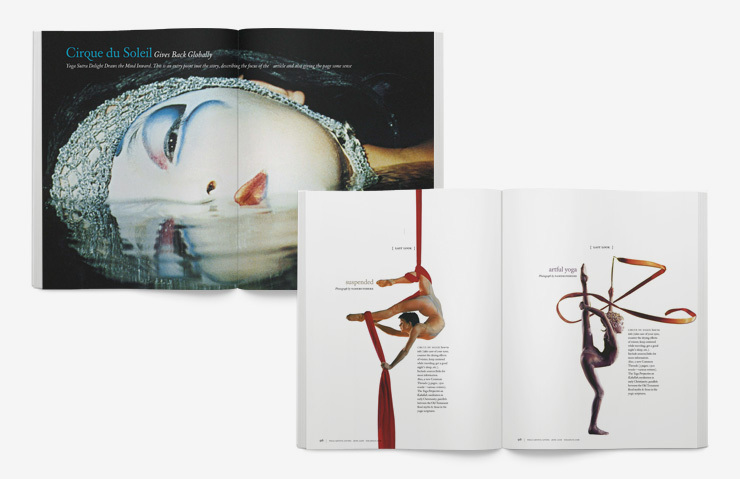 Once the client had approved the new signature logo and design presentation, our creative group recommended and hired new award-winning photographers, and designed and produced several issues of the publication before transitioning execution to the client creative team.